Trivia aficionados and folks just looking for a fun party game are in for a treat with It’s Quiz Time from the makers of the Buzz series. 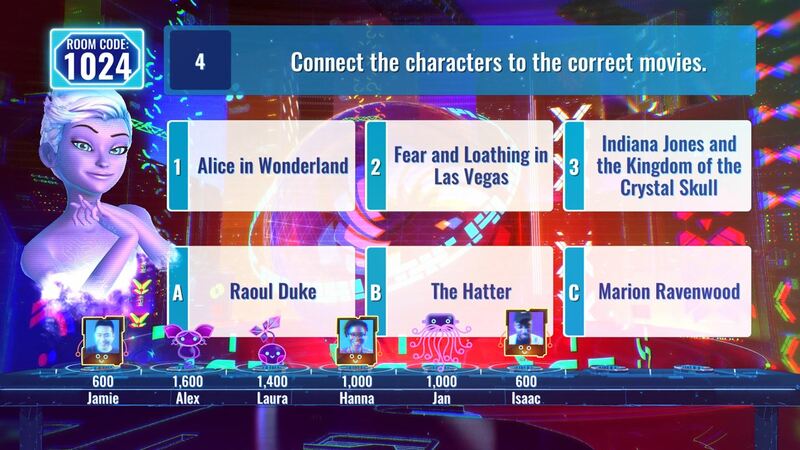 This trivia game show uses a fantastic smartphone app as the answer input method, so anyone, gamers and non-gamers alike, can play it and have a great time. It also has full streaming support and the viewing audience can actually participate. For the $20 asking price, It’s Quiz Time is the best trivia game show since 1 vs. 100 Live (RIP). See our full review of the PS4 version (it’s on Xbox One too!) for all of the details. 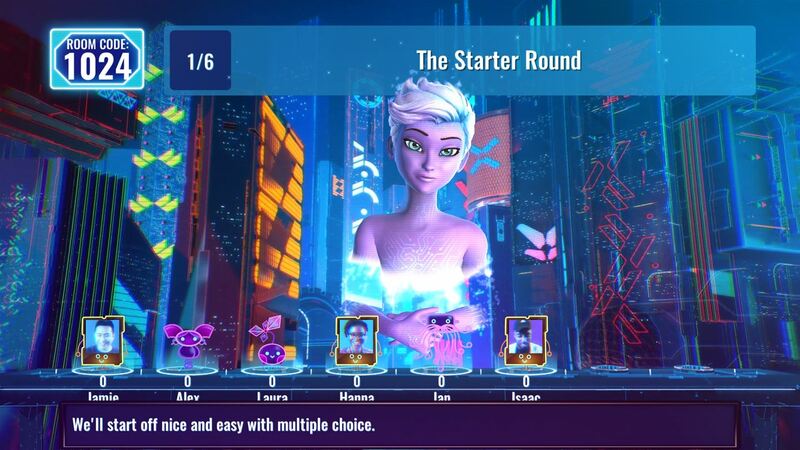 It’s Quiz Time is a trivia party game meant for groups of people, though you can play a solo mode where you just answer 30 questions in a row and try to get a high score. The solo mode is also the only mode that allows the use of a standard controller – everything else has to be played using an app downloaded your smart device (iOS or Android). The app itself is incredibly well put together and works great even on older hardware (yeah, I’m still rocking a Galaxy Tab 3 from 4 years ago). The app is very intuitive to use and very straightforward so even non-gamers will be able to join in and have fun. Everything you need to know is explained on the TV or on your mobile screen – you do have to look at both – and it works well. There are several different round types where you answer the questions in different ways – standard multiple choice, everyone takes turn choosing answers from a bunch of choices, dragging answer options into proper order, “buzz in”-type questions where everyone races to tap the correct answer first, and many more – and they’re all smart and intuitive and well done. The amount of round variety is awesome and keeps the game from feeling too repetitive or boring. You can also set up playlists with preferred round types and all sorts of stuff. There are also filters that will ask age-appropriate questions if you’re playing with kids, which is great. 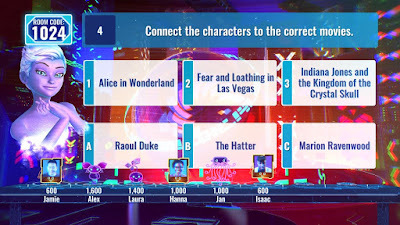 In addition to the obvious application of It’s Quiz Time as a local party game, you can also stream the game on Twitch or YouTube and your viewers can participate – all they have to do is download the app and type in your room code. This is awesome and works well. The game smartly has a pretty tight time limit on how long you have to answer, too, which should keep most people from simply cheating and Googling the answers to stuff. There are a couple of negatives to the game, however. The first being the A.I. host character, Salli. She’s a weird holographic woman who only exists from the shoulders up (and weird detached Rayman arms) who asks questions and does banter with players in a stiff and robotic and, honestly, off-putting manner. I could do without her snarky disconnected word salad making fun of folks, frankly. It is cool that she can actually say your name out loud as you play, however, and you can even tune how she says it so she pronounces everything correctly. My other slight complaint is that some of the answers are a little outdated and some things, like American sports questions, can be awkwardly worded and seem a bit off. I blame that on the developer being from the UK, though, so it isn’t a huge deal. For the most part, though, the trivia is very solid. Presentation-wise, It’s Quiz Time has a great TV game show feel throughout. It has a sci-fi / futuristic setting that works well and the interface is clean and clear and easy to understand both on the TV and on the app. We don’t love the host, but everything else is great. Music and sound is solid, too. All in all, It’s Quiz Time is a great trivia game that’s a ton of fun for two players on up. You can play it solo, but the solo mode is pretty bland so I can’t really recommend the game if you plan on only playing by yourself. As a party game, or if you’re a streamer, however, It’s Quiz Time is absolutely fantastic. For the $20 asking price you’re getting thousands upon thousands of topics and questions, too, which is more than worth it. It’s Quiz Time is great. Buy it.